Hijri Calendar for 200 years . From Hijri 1300 to 1500. Download pdf from Attachment section below. Download the Excel add-on and install it in your computer. HijriCalendar is a free Microsoft Excel add-in designed and developed by Mohammed Fahmi and Abdullateef S Uthman. 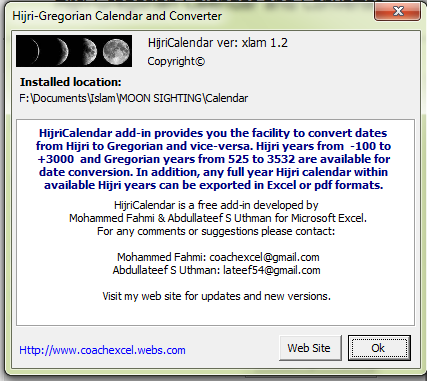 HijriCalendar utility provides you the facility to convert dates from Hijri to Gregorian and vice-versa. Hijri years from -100 to +3000 and Gregorian years from 525 to 3532 are available for date convertion. 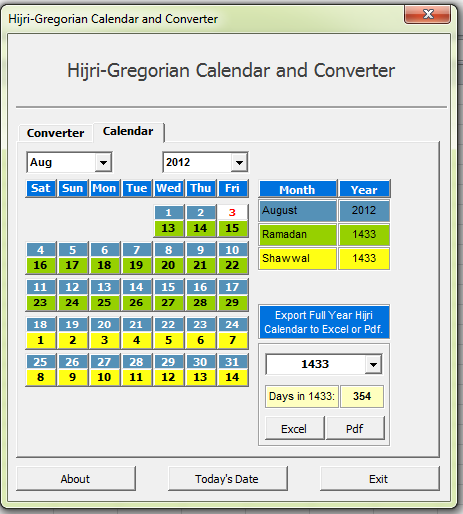 In addition, any full year Hijri calendar within available Hijri years can be exported in Excel or Pdf formats. 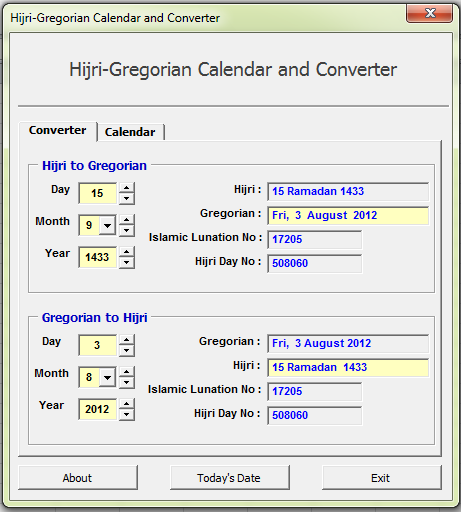 HijriCalendar is available in Excel 2000 to 2003 and Excel 2007 or higher versions for download. It can also be downloaded as a regular Excel file in both versions.